If you’ve ever stayed with us, danced at one of our parties, eaten in our restaurant, gotten merry in our bar, shopped in our boutique, frolicked on our tennis court, gotten dressed up in Sunny’s boudoir or read our magazines… You’ll know that here at Pikes, we’re all about family. Now, we’re not necessarily talking about the family we were born into; rather, the one we’ve created for ourselves. Over the years, the Pikes tribe has grown bigger and bigger and is now spread out over many cities, and indeed, countries all across the globe, but the true heart and soul of our family can always be found right here in Ibiza. Our devoted team are who make Pikes tick. They’re the ones who make it run like clockwork, the ones who cook for you, who clean for you, who make you laugh, who entertain you, who welcome you and who charge your credit card for those late night room service fees! This month, we’d like to introduce you to some of the integral members of the Pikes family, from our beaming receptionist Mariola and powerhouse restaurant manager Silvia to our resident DJ and curator of poolside playlists, Camilo. We are family. Say hello to Mariola Bocanegra, our lovely receptionist. Born in Cadiz in the south of Spain, Mariola’s parents moved to Ibiza when she was a baby and she’s felt at home here ever since. As a nine-year-old child in San Antonio, she still remembers the fireworks that came with Freddie Mercury’s legendary birthday party at Pikes. “It was just after the usual bank holiday fireworks in August,” she reminisces. “We were all wondering what it was, then everyone found out it had been Freddie’s birthday.” A lifelong fan of Queen, Mariola has been known to beg Tony to tell her stories of that magical time in Pikes’ history, her favourite being the goosebump inducing anecdote that Freddie would ask Tony to bring the piano – yes, that exact same piano that still stands in Freddie’s 30 years later – to the pool, where he would play for hotel guests. “I wish I was 20 years older and could have been there!” she laments. 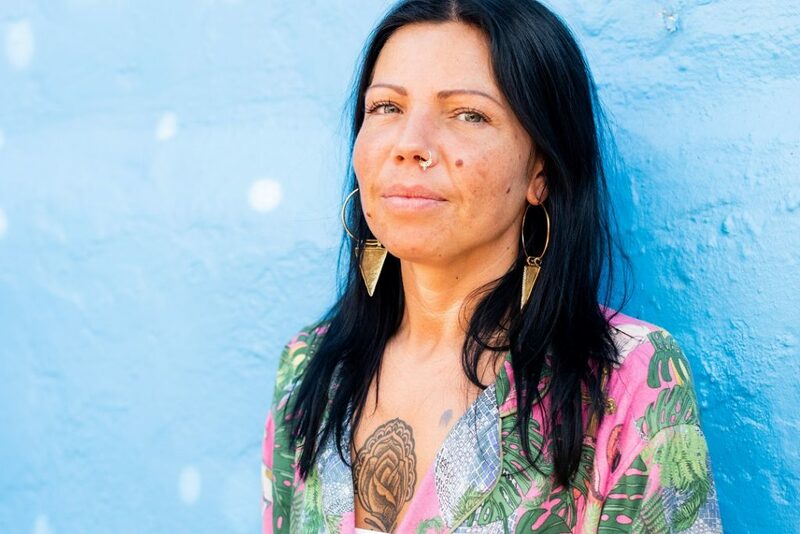 Mariola still feels a daily connection to Freddie through her role as receptionist, where his photo watches over her like a guardian angel each day. The former pharmacy assistant found herself working at Pikes by chance, as she took a role as a waitress in 2011 after returning to Ibiza from a stint in London. “As soon as I walked into the hotel, I just fell in love,” she explains. After a few years spent waitressing, she made the move to reception last year, where she meets and greets our guests, helps organise hotel and restaurant reservations and much more – usually with the help from our resident cat Sneezy, who loves to sit on Mariola’s lap all day long. A round of applause for Camilo Miranda, our resident DJ and music curator. From here, his ear evolved and after stealing his dad’s sound system and teaching himself to beat-match, his ever-curious nature saw him constantly seeking out the origins of each track he liked. Pikes had never really been on young Camilo’s radar. “I came to see Crazy P,” he remembers. 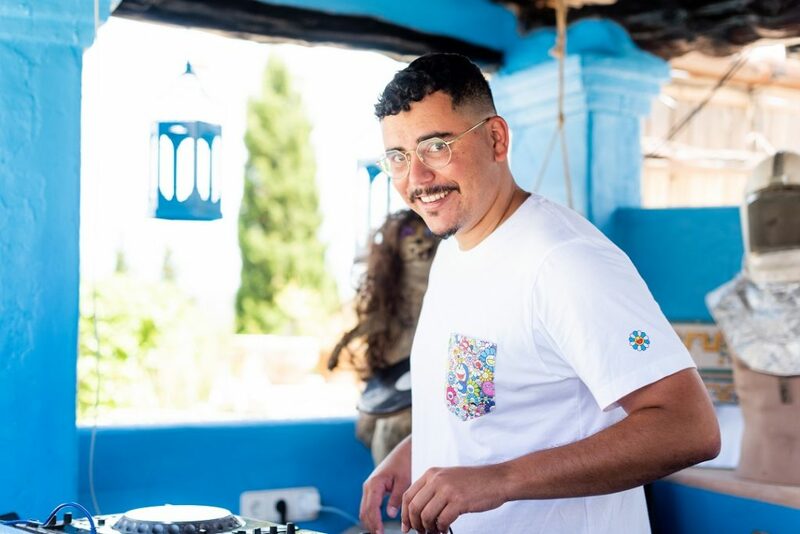 “Back then, I just thought it was a place for old people!” After a brief stint away from music studying fine art, Camilo returned to the decks with a very unique sound – think disco with a post-punk Italo feel. “It’s electronic, but always rooted to the source. I like to play music from the now, that sounds like the past, and has a futuristic sound,” he says. In 2018, you can catch him on Mondays, Tuesdays (for his own party Family Matters), Fridays and Saturdays, and you’ll hear his mixes floating over the airwaves when we don’t have a DJ in session. Give a warm welcome to our new restaurant manager, Silvia Galatioto. Hailing from Verona in the north of Italy, but having cut her teeth in the world of high-end London restaurants with Gordon Ramsay and D&D London, Room 39 manager Silvia is dry-witted, super professional and stylish to boot. After moving to Ibiza for a former love in 2015, she fell in love with the island itself and decided to apply her extensive skills – hospitality management, sommelier, event planner and more – to the gastronomy scene in Ibiza. It was only a matter of time until she wound up on our doorstep, so suited is Silvia to the Pikes family, but in actual fact, the job found Silvia!